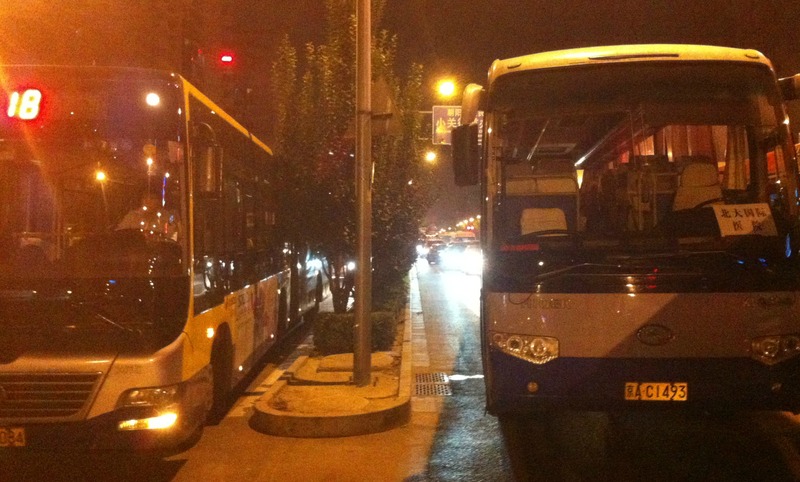 « Day 120 in Beijing: Shanghai vs Beijing. Day 121 in Beijing: Car Crashes. Might makes right. Or wrong. Car crashes are a thing to behold in China. It isn’t that the car crashes are that different from anywhere else in the world, it is the reaction by spectators. I have yet to see so many people congregate for anything like this for a car crash anywhere else I’ve lived. This was a rather, um, how do I say this, amusing car crash. I’ve always been taught one simple rule of driving: He who has the might, has the right. This also pretty much is true regarding sports, politics and war. A good rule to understand and obey unless you want to start a commotion. Me thinks you will be waiting awhile. 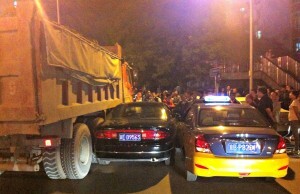 Well, the taxi and the passenger car, didn’t seem to understand the rule. Honestly, I’m rather surprised I don’t see more crashes in Beijing because the street signs, lanes, and pretty much everything else I take for granted as the laws of driving, are thrown to the wind. 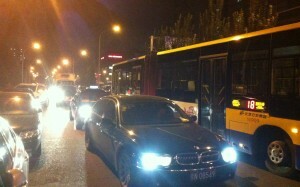 Strangely enough, I feel more safe in cabs here in Beijing than I did in San Francisco. It seems as if everyone expects people to drive without rules so they all drive relatively defensively instead of cutting each other off and being rude about it. The bus driver of the bus on the right left as did all his passengers. So, about 100 people showed up after this crash and were loudly giving their opinions, ideas and suggestions. The police hadn’t arrived yet but there were about 15 buses lined up behind the accident and about 50 cars. Most were locked in place and I doubt they were going to be moving anytime soon.